Launch. This site was launched on 31 January 2012 using WordPress.com services for hosing and domain name registration. Goals. The primary goal of this site is to showcase and promote local Iowa City web developers and their work. Additional articles will be provided to discuss web development related topics. Design. 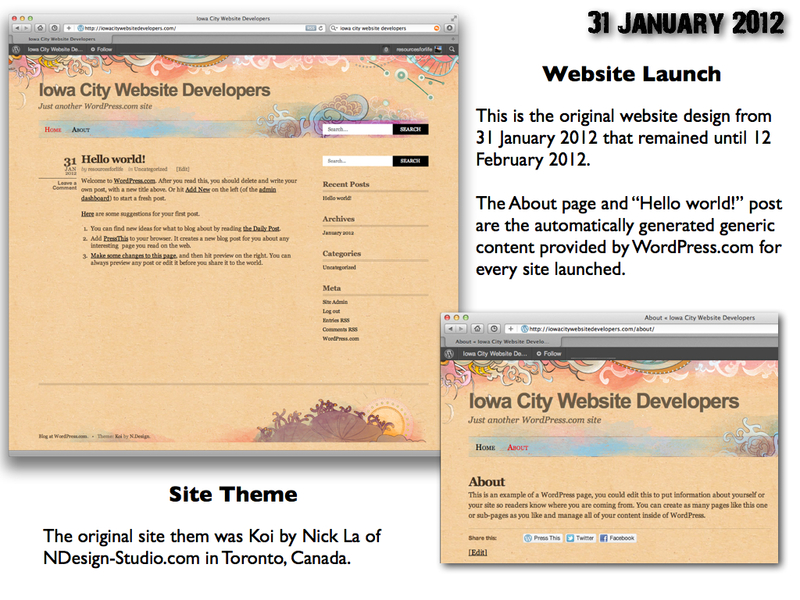 The initial theme assigned to this site was Koi by Nick La of NDesign-Studio.com based in Toronto, Canada. It’s an attractive theme, and may be retained for a while. Theme and design changes will be announced with previous themes retained as screen shots in archives to show the progression of the site over time. Click the image below to view in full size (1024×768) resolution. Search Engine Ranking Analysis. 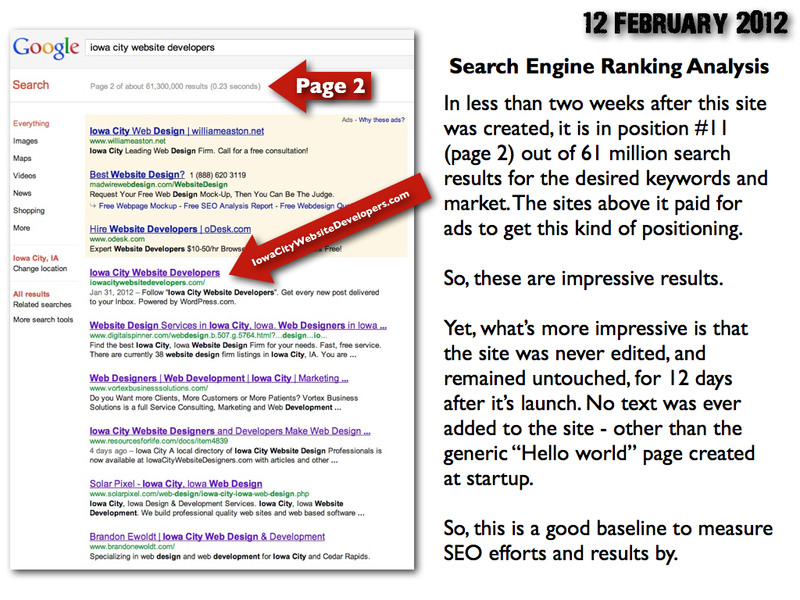 In less than two weeks, by 12 February 2012, the site had reached position #11 for the desired keywords and market (as explained below) — without having invested any time in the site during or since launch. In the months ahead, some organic promotion and SEO efforts will be made to give the site better exposure. This entry was posted in News and tagged design, goals, launch, seo.